Google+ Cinema Viewfinder: The Mohawk Memoirs: Mullets, Machine Guns, and Mayhem! As a teenager engaged with the decade of excess, my appetite for action movies was insatiable. I didn't care much about character development or plot logic. For me it was a time of juvenile male bonding with my buddies who craved fisticuffs, a hail of bullets, and relentless explosions that leveled buildings if not entire cities. We were awkward and socially inept doofuses skilled at reciting John Rambo's blubbering climatic soliloquy in First Blood (1982). These movies pumped adrenaline and excitement into our otherwise boring, pedestrian lives. I was truly a junkie, constantly waiting for my next fix, which at the time was easy to score all thanks to one independent production company that was my one constant, go-to enabler—Cannon Films. My friends and I were titillated by the best among the worst of uninspired action cinema, churned out by movie mayhem peddlers Menahem Golan and Yoram Globus, who owned the now defunct company in its golden years. They utilized a bullpen of action heroes such as Jean Claude Van Damme (Bloodsport), Michael Dudikoff and his sidekick Steve James (American Ninja), Sho Kosugi (Enter the Ninja), and veteran Cannon ace Chuck Norris (Missing in Action). One of Cannon's crowning achievements was Cobra (1986) starring the aforementioned Sly Stallone. It's a glorious action-packed mess as thematically layered as a grilled cheese sandwich... minus the bread. I was a young, dumb, and unsophisticated kid with a mullet when I first saw it; therefore, I considered it brilliant. Now, as a not so young, unemployable genius with a mohawk, I questioned if my haughty appreciation for quality films would get in the way of the once-held exuberance I felt for these below average films. 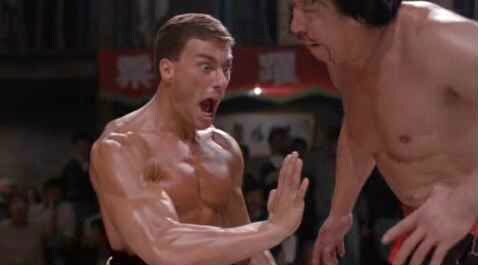 Not accounting for the most recent Rambo (which remarkably, I still haven't seen), could I reclaim the dim-witted spell movies like Gymkata had over me? There was only one way to find out. 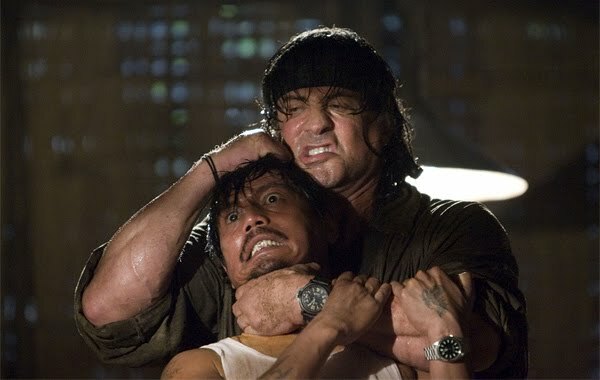 I contacted Bruce, an acquaintance of mine who—unlike me—has a banal palate for movies (I nearly slapped the taste out of his mouth when he claimed Adam Sandler's performance in The Longest Yard was a tour de force) and, without any arm-twisting, invited him to a matinee screening of The Expendables. As Bruce and I stepped out of the theater at the end of the movie, he, to my surprise, pointed out everything wrong with what we had seen: the direction was amateurish; the dialogue dull; the characters unoriginal; and the action laugh-out-loud ludicrous. I agreed with everything Bruce said, and replied, "THAT'S EXACTLY EVERYTHING I LOVED ABOUT IT, YOU MORON!"